It’s not hard to see why Tom Davies frames are quickly becoming the must have eyewear collection this summer. Making headlines in blockbuster movies such as Superman and Allied. 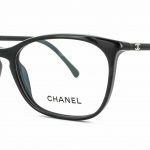 Chanel Eyewear taps Kate Moss’ younger sister, Lottie Moss, for its spring-summer 2017 campaign. Previous faces of the accessories line include Lily-Rose Depp and Willow Smith. Photographed by Karl Lagerfeld, Lottie poses with 80’s inspired crimped hair decorated with camellias. Chanel - The Latest Trends. The French high fashion house Chanel is known for its deliverance of haute couture, ready to wear luxury fashion accessories and clothing.